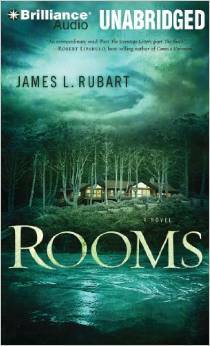 Rooms by James Rubart is a Christian novel about a wealthy young Seattle software developer who gets a cryptic note saying that he has inherited a house on the Oregon coast from an uncle he doesn’t remember. When he goes to claim his house, he finds that he has inherited a house with weird rooms that God is using to change his life. Some people have compared this book to The Shack, since both books call a man to a house and force him to deal with the pain of his past. However, there are many differences between the two books. Rubart is a more experienced and better writer. He uses vivid descriptions that paint a clear picture of the characters and events. Rubart does not delve into any questionable theological teachings, the way the author of The Shack does. However, The Shack is more emotionally satisfying as an answer to the problem of suffering. Rooms deals with pain, forgiveness, and includes a good romantic story, but it reads more like a science fiction novel, and for some reason, I found it harder to suspend belief and accept the alternate lives and time travel that takes place in the novel. Rooms is also very long, but I’m glad I stayed with it to the end, as the plot picks up pace, and comes to a fascinating and satisfying conclusion. I listened to the audio version of the book, which was 9 CD’s. It made a good book to pass the time on long trips from Georgia to Mississippi. 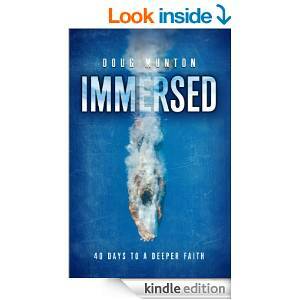 Immersed: 40 Days to a Deeper Faith, is a daily devotional designed to develop deeper Christian disciples, written by Doug Munton, pastor of First Baptist Church of O’Fallon, Illinois. It is divided into six chapters designed for each week, and each chapter has seven daily readings, except the last chapter, which has five readings, bringing the total to 40 daily readings. Each reading is about two and a quarter pages in length. 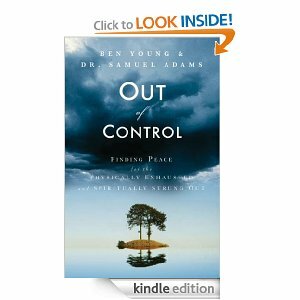 The book may be read alone as a daily devotional, or read in conjunction with a small group discussion or church-wide campaign. I read one reading each day for 40 days, as suggested, but on my own without a group discussion. Each daily reading comments on a particular scripture verse, which he explains and applies to daily life, and concludes with points to ponder and reference to two chapters of the Bible as a suggested daily Bible reading. The seven weeks of devotionals cover the subjects of God’s Word, personal renewal, following Christ in difficult times, recognizing blessings and blessing others, choosing a missional life, and living out your faith in the real world. Munton writes in a conversational style, filled with everyday illustrations, making it easy to read. However, don’t assume this is just light reading. He has many keen insights that often sent me to my knees in prayer, reflection, and got me on my feet to take action. Munton has a gift for memorable illustrations. The story on Day 22 is a beautiful example. Munton tells how his father learned to count his blessings, while alone on a mountain during the Korean War. Then (spoiler alert) Munton shares how after his father died, they found a photo of his Dad in uniform in Korea. His mother pointed to the mountain behind him in the photo and said, “that is the hill where your father counted his blessings” (p. 110). Munton also knows how to turn a phrase and is full of provocative quotations. He says, “our hope is not that our problems will be absent but that our Lord will be present” (p. 80). He says, “the mission of Jesus– and, therefore, the mission of His disciples– is about more than helping nice people be nicer. 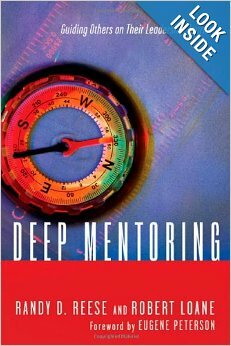 It is about helping dead people find life” (p. 140). He says, “We can never be worthy of salvation but we can live worthily in salvation” (p. 176). Each daily reading ends with reference to two chapters of the Bible suggested for daily scripture reading, designed to take the reader through The Gospel of John, The Acts of the Apostles, and Proverbs. While I agree that it is an important part of discipleship to read through books of the Bible, I wonder if it might have been better to if Munton had done the daily Bible readings differently. Most of his assigned daily Bible readings do not relate to the daily devotionals. However, since each daily devotional is built around a key Bible verse, it seems to me it would have been better to assign the reader to read the whole Biblical chapter that includes the focus verse of each day’s devotional, giving greater context to the excellent devotionals that Munton writes. 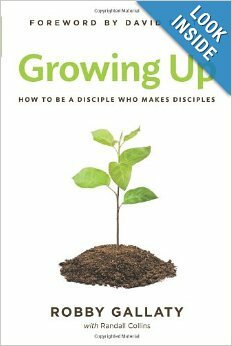 Despite that minor critique, this book is one of the best resources I have read for personal discipleship. I highly recommend it. Copies can be found online at amazon.com, or at discounted bulk prices directly from the author at http://www.dougmunton.com. In the interest of full disclosure, Munton is a personal friend of mine, and I received a complimentary copy of his book, but I was under no obligation to write a favorable review. 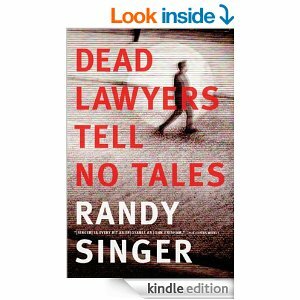 If you like John Grisham, you will probably like Randy Singer. I have read many of Singer’s legal suspense novels, and I found his plot twists to be consistently good, often better than Grisham. Singer is a Christian writer who avoids profanity and has a Christian worldview to his books. As a Christian myself, I really like that. But if you are not a Christian, don’t let that put you off, especially in Dead Lawyers Tell No Tales. Although his previous novels are not “preachy,” this novel is even less so. Singer simply weaves a captivating story of redemption. Landon Reed, a former SEC football quarterback who went to jail for taking a bribe to throw a game, wants to redeem himself by becoming a lawyer and helping others. He is an imperfect man who nearly falls again, and then gets caught up in a law firm where somebody is slowly killing every lawyer at the firm. From beginning to end the plot kept my interest. Each short chapter seemed to end with something that made me want to read the next chapter and learn how the plot would resolve. Singer is a lawyer himself, and is able to describe complicated legal situations with clarity and detail. But what made this story engrossing in the first half was the theme of forgiveness and a second chance. In the second half, the plot accelerated and I couldn’t put down the book until I finished. This is probably Randy Singer’s best book to date. Recently, I had the pleasure of enjoying some pancakes with Joe McKeever. When he noticed that the waitress was friendly, he immediately pulled out a pad and pencil, asked her to stand still and smile, and in a few moments he had drawn a wonderful cartoon of her likeness. She was so excited, another waiter came to ask about it, and he gladly drew another one. Everywhere he goes, Joe draws pictures of people. You might say that he’s the quickest draw in the West. 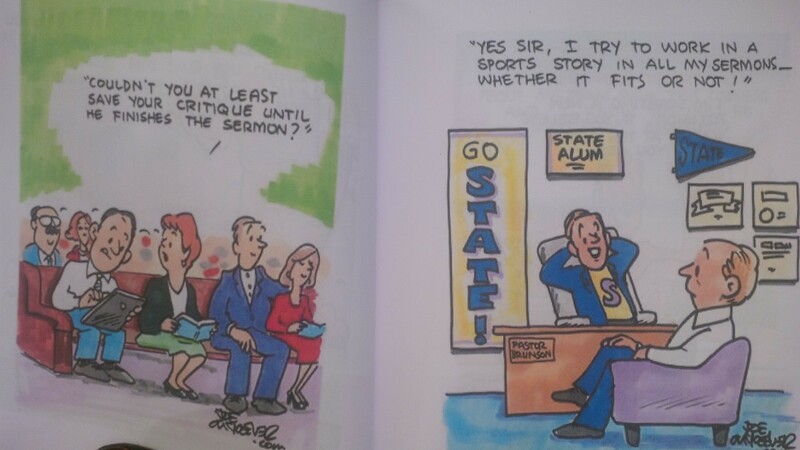 McKeever’s cartoons were published for years in Pulpit Helps and are still a regular feature in various Baptist newspapers through Baptist Press. 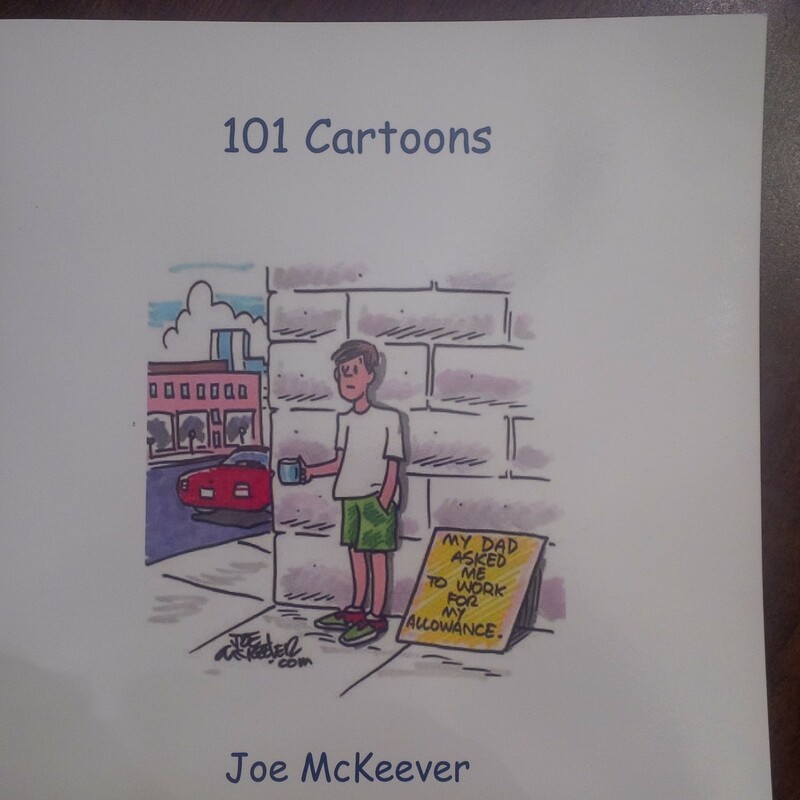 Now McKeever has published a great collection of some recent favorites, entitled 101 Cartoons. Each cartoon is a full page, and nearly all are in full color. Most of the cartoons poke fun at religious subjects, as is illustrated by the photo at the bottom of this review. Others, like the cover photo above, poke fun at life in general. The print is large and easy to read, and as you can see from the photos, they are very colorful. It makes a great coffee table book for enjoyable conversation with family and visitors. 101 Cartoons is available from Amazon.com or you may purchase it directly from the author and he will inscribe a personal greeting and cartoon inside the front cover for you. Send a check for $15 for one or $27 for two, to Joe McKeever, P. O. Box 855, Kenner, LA 70063. In the interest of full disclosure, Brother Joe gave me a complimentary copy of his book along with the pancakes; however, he did not ask me to write this review– I was glad to do that myself! When Will I Stop Hurting? 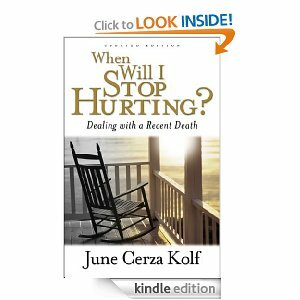 Dealing with a Recent Death by June Cerza Kolf is one of the most helpful, compassionate books I have read to comfort someone who is grieving. As a pastor, I have given several resources to people to help them with the grieving process. A church member who had lost her mother told me that this book was even more helpful to her than what I had given her, so I had to read it myself. Now I see why. Kolf writes as someone who not only understands the grief process, but has experienced it herself. She has a wonderful balance of encouragement and specific, practical advice. It is a resource that a grieving person will want to keep nearby to refer to again and again, and share with others. The book is divided into three chapters: The Wound, The Flood, and the Rainbow. The first chapter, “The Wound,” explains the hurt and feelings of grief. Grieving readers will find themselves saying, “Yep, that’s me.” Yet they will find it comforting to see how what they are experiencing is normal, and they are not going crazy. The second chapter, “The Flood,” explains the stages of grief and gives practical advice about making decisions and taking care of oneself through that process. The third chapter, “The Rainbow,” is an inspiring and practical explanation of how one let’s go of grief and moves on in life. There is an appendix that gives nearly 20 exercises with a “To Do” list to handle guilt, crying, loss of sleep, remembering your loved one, etc. 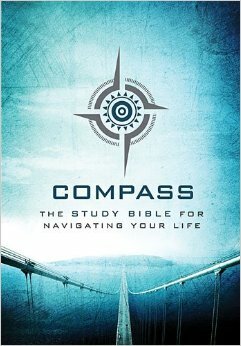 However, as good as this book is, I feel that Kolf could have strengthened the book with comforting scripture. She does mention two Bible verses, and talks about God throughout the book. On page 41, she gently recommends “a divine friend who loves me no matter what…This friend, Jesus, is available to everyone through prayer.” Since she chose to mention her faith, she could have strengthened this by citing scripture such as Jesus’ words about being with us and preparing a place in heaven (John 14:1-6), Paul’s words about finding comfort in God by comforting others (2 Corinthians 1:6), or Kind David’s beloved Shepherd’s Psalm, Psalm 23. I have seen people physically relax upon hearing the Twenty-third Psalm. Scriptures such as these could make this wonderful, helpful book even more “hope-ful” to the grieving reader. Guest blog: OUT OF THIS WORLD! Part Three: Books and audiovisuals on near death experiences and the afterlife. Alcorn, Randy. Heaven. 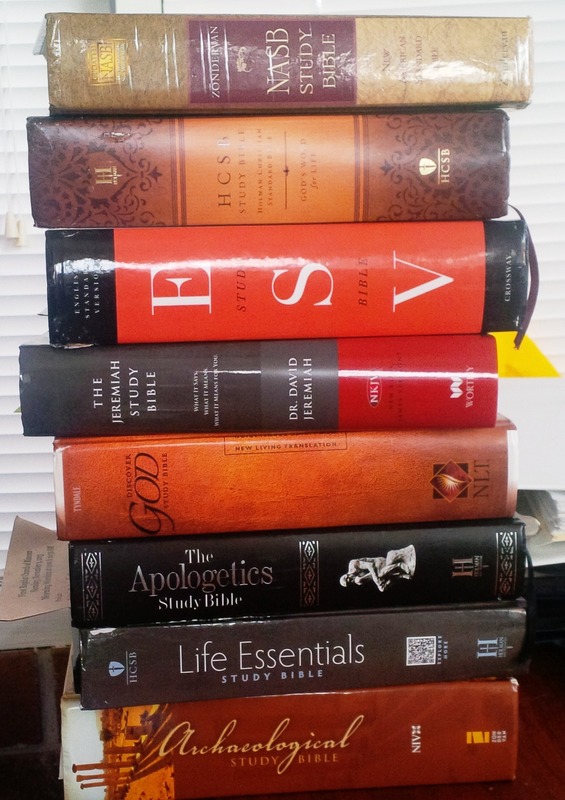 Tyndale House Publishers, Inc. Randy is considered a leading authority on Heaven. He answers some tough questions as he invites you to picture Heaven as the Scripture does. This is a very scholarly book. One needs more than an afternoon to read it! Alexander, Eben, Proof of Heaven: A Neurosurgeon’s Journey into the Afterlife. Simon and Schuster Paperbacks. Dr. Alexander spent seven days in a coma and experienced a heavenly reality of love and beauty. His experiences changed his scientific mind to one of profound belief in God, spirituality and love. An excellent book. Black, Dale. Flight to heaven; A Plane Crash: A Lone Survivor: A Journey to Heaven and Back. Published by Bethany House Publishers. Captain Black pursued his dream of flying planes, even after being severely injured in a plane crash. His trip to Heaven is beautifully detailed. The story is a fascinating read. Burpo, Todd and Sonja Burpo. Heaven Changes Everything. Published by Thomas Nelson, Inc. This is a sequel to the very popular book, Heaven is for Real, the story of little Colton Burpo’s unforgettable trip to Heaven. This family’s lives were changed. The Burpos show how believing in Heaven helps one survive hardships here on earth, including the death of a loved one, particularly the loss of a child. 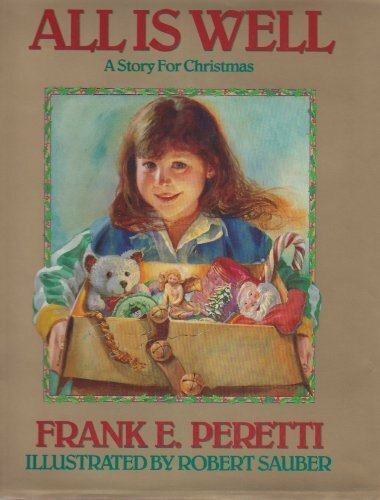 A sweet and down to earth book. Burpo, Todd with Lynn Vincent. Heaven is for Real: A little boy’s astounding story of His Trip to Heaven and Back. Thomas Nelson Publishing. A four year old child, he sat on Jesus’ lap, said angels took him from his hospital bed and other wonderful things. Colton spoke with disarming innocence. A delightful and convincing book. Colton and his parents were interviewed on the “Today” show, showing the public interest in this story. Garlow, James and Keith Wall. Encountering Heaven and the Afterlife: True Stories From People Who Have Glimpsed the World Beyond. People who have had near death experiences (NDEs) bring back word descriptions of the pathway to Heaven or the descent into the darkness of Hell. Those who go to Heaven lose their fear and report amazing feelings of love, warmth and acceptance. Those who go to Hell are horrified and so thankful they get to come back. Graham, Billy. Death and the Life After. Word Publishing. Billy Graham talks about how the culture relates to death, the death of children, living wills, euthanasia, hospice care, the grief process, and preparation for death. He explores the practical side of death. 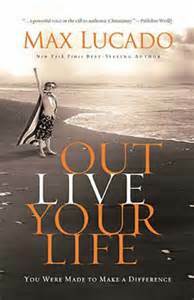 Dr. Graham helps the reader find peace and comfort for those grieving or pre- paring a will or planning a funeral. Graham, Billy. Nearing Home: Life, Faith and Finishing Well. Thomas Nelson Publishing. At 93, Dr. Graham said that old age was a surprise. He advises one not to retire from life. Many older people have heard and obeyed God’s call. He says leave a legacy of faithfulness. We are meant for Heaven, our final home. Heaven is glorious because it is the dwelling place of God. Graham, Billy. The Heaven Answer Book. Thomas Nelson Publishing. This short little question and answer book gives straight biblical answers about heaven in typical Billy Graham style. He answers such questions as “Does Heaven really exist?” and “What is a resurrected body?” Dr. Graham is evangelistic in his approach to these questions and answers. Harris, Trudy. Glimpses of Heaven: True Stories. Published by Revell. A hospice nurse relates stories of those leaving the world in his/her own unique way. Harrie, Trudy. More Glimpses of Heaven: Inspiring True Stories of Hope and Peace at The End of Life’s Journey. Published by Revell. More stories of the beauty and pain of life’s end as observed by hospice nurse, Trudy Harris. Lotz, Anne Graham. Heaven, My Father’s House. W. Publishing Group. Billy Graham’s daughter writes about our heavenly home compared to our earthly home. She says, “The invitation to my Father’s house is extended to all, but you have to RSVP.” This is an inspiring little book. Malz, Betty, My Glimpse of Eternity. Published by Chosen. Betty was “officially” Pronounced dead for 28 minutes before waking to report seeing and hearing angels and understanding several different languages at once. Catherine Marshall said, “Upon occasion God breaks into human life to give us a glimpse of what lies ahead. Neal, Mary C. MD. To Heaven and Back: A Doctor’s Extraordinary Account of Her Death, Heaven, angels, and Life Again. Waterbrook Press. Dr. Neal, a spine specialist, had a kayak accident and drowned. Her friends worked hard to revive her and finally did. In her “in-between “ state, she experienced a joyous welcome celebration in Heaven. Very readable and interesting. Piper, Don with Cecil Murphy. 90 Minutes in Heaven: A True Story of Death and Life. Published by Revell. A popular book involving a car accident, being pronounced dead and waking up to sing with a minister praying and singing over him. After a long, grueling recovery, Don was persuaded to tell his story. Prince, Dennis and Nolene. Nine Days in Heaven: A True Story. Charisma House Publishing. Nine Days in Heaven relates the vision of 25 year old Marietta Davis more than 150 years ago, in 1848. Her story is re-written in modern English. She was shown the heavenly nursery where infants are cared for and taught redemption’s story. Each section is supported by Scripture. Beautifully done. Especially helpful for those grieving for a lost child. Not to be confused with 90 Minutes in Heaven by Don Piper. Rogers, Joyce C. “After This, Then What?” Family Bible Study, Life Ventures Learner Guide. Summer, 2005, p.116-161. LifeWay Sunday School unit. Speaks of salva-tion here and now and throughout eternity, Jesus’ return, and the special place God has prepared for His own. Sigmund, Richard. My Time in Heaven: A True Story of Dying…And Coming Back. Whitaker House Publishing. Following a traffic accident, Richard found himself in a thick, cloudy veil. He could hear sirens and the words, “He’s dead.” He could hear singing and laughter on the other side. Led along a path by angels, he saw a book containing his name. He claims to have seen mansions belonging to loved ones and many other wonders. 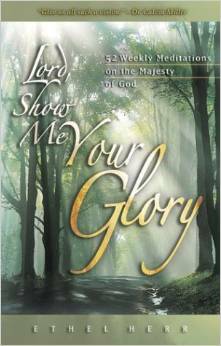 The book has testimonies, select scriptures and an index. Springer, Rebecca. Within Heaven’s Gates. Published by Whitaker House. After feeling alone in her illness far from home and family, Rebecca has a vision of life in Heaven. She describes with unspeakable joy life in Heaven where she has her own mansion and visits with loved ones. A vision, not an NDE. Stone, Perry. Secrets from Beyond the Grave: The Amazing mysteries of Eternity, Paradise, and the Land of Lost Souls. Published by Charisma House. Detailed studies of questions related to death and the afterlife. 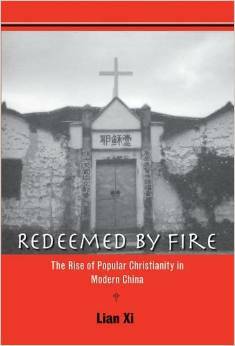 The author asserts that Heaven and Hell are real places. Details he relates include: people in Heaven or Hell have all 5 senses; are not limited to time or space or travel hindrances; and have conversations not with words but with thoughts. Wiese, Bill. 23 Minutes in Hell; One man’s story about what he saw, heard, and felt in That place of torment. Published by Charisma House. Bill Wiese said that he saw the searing flames of hell and was terrorized. He said, “My sincere hope is that this book is the closest you will ever come to experiencing hell for yourself.” A question he answers is “Can ‘Good’ people go to hell? There is an 18-page scripture index. Besteman, Marvin with Lorille Craker, read by Maurice England. “My Journey to Heaven. : What I Saw and How It Changed My Life.” Baker Publishing House, Christianaudio, 2012.. Marvin Besteman shares the true story of his experience of Heaven in detail. He speaks of angels accompanying him to the gate, his conversation with St. Peter, and his joy when he recognized friends and family members who had touched his life. Very interesting story. Running time 4.7 hours. CD. Malarky, Kevin. “The Boy Who Came Back from Heaven,” Tyndale Entertainment Production in Association with Franklin Films. Based on book by Kevin Malarky. Six year old Alex Malarky suffered a terrible car accident which left him in a coma for 2 months. He awoke to share an incredible story of angels, Jesus and his trip to Heaven. He was left paralyzed, but we see how God is still using him today. This is an amazing and convincing story. Running time 50 minutes. DVD. _______. “The Final Frontier.” Produced by Eternal Productions. Revived patients encounter some form of extension of consciousness beyond clinical death. They encounter some form of reality: Heaven or Hell. These are not hallucinations, but a highly structured and organized phenomenon. More and more scientific evidence tells us that life after death exists. Where we are going is a matter of choice. We must think about our own lives. This DVD makes one think. Running time 53 minutes. _______. “The Lazarus Phenomenon: A Glimpse of Eternity.” Eternal Productions. Lan McCormack was stung by jelly fish off the coast of an island in the Pacific and was unable to get help. His experiences changed his life. On the other side of the world, a pastor died and 48 hours later revived. He was shown his death certificate. He also had experiences beyond the veil. Well worth watching. Running time 100 minutes..
Jeremiah, David Dr. “Revealing the Mysteries of Heaven.” Turning Point Television. Shadow Mountain Community Church, San Diego, California.. Sermons on Heaven. Dr. Jeremiah preaches a 3 month series of sermons on Heaven. Each sermon covers A different aspect of Heaven. Topics such as “Won’t Heaven be Boring?” and “What About the Children?” are covered. He says “Worship in Heaven is not about us – its about Him. Its not about here – its about there. Its not about now – its about then. Its not about one – its about many.” Wonderful resource. Each sermon about 30 to 40 minutes. DVD.